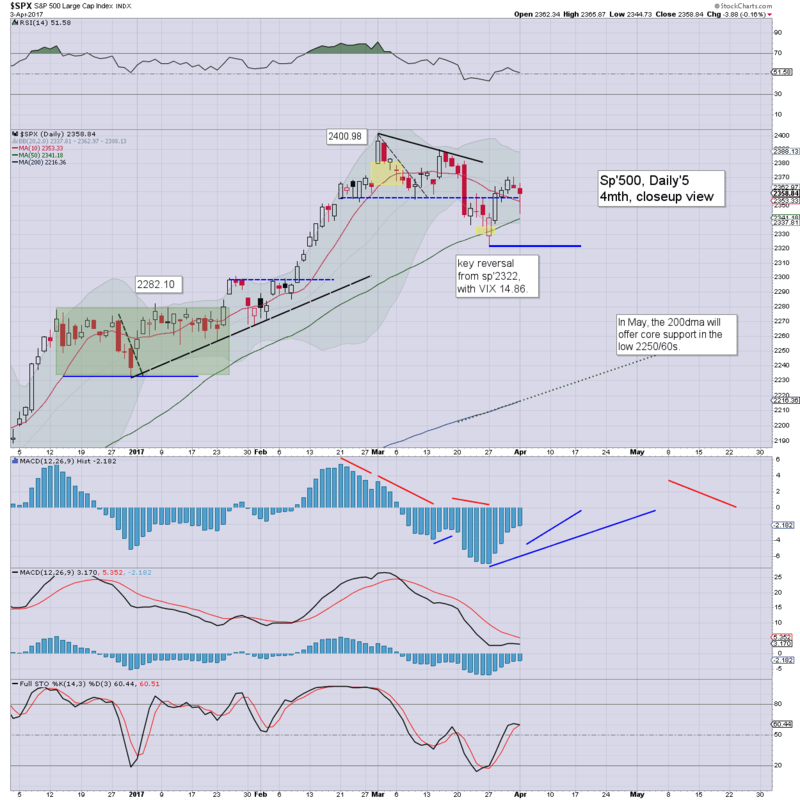 US equity indexes closed moderately weak, sp -3pts at 2358 (intra low 2344). The two leaders - Trans/R2K, settled lower by -0.3% and -1.2% respectively. 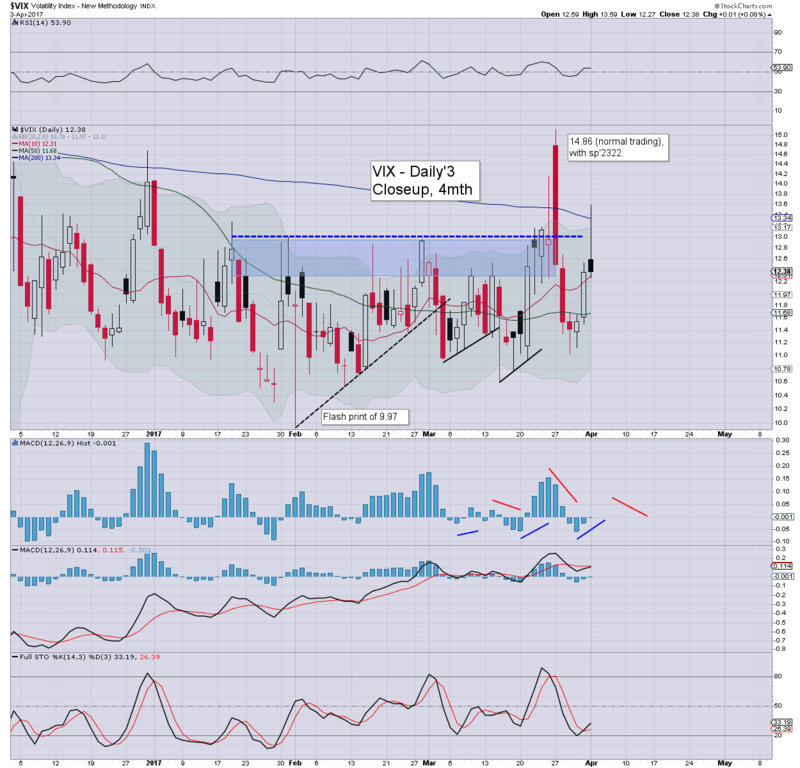 VIX settled +0.1% at 12.38. 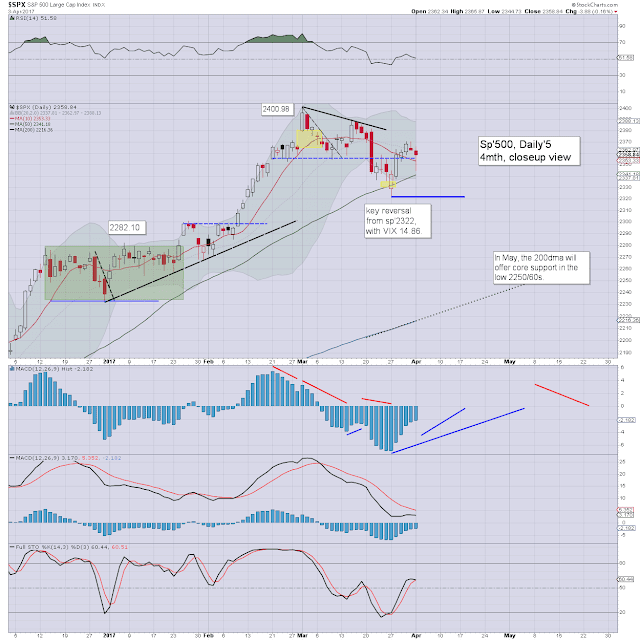 Near term outlook offers a test of the big resistance zone of 2380/90 before the weekend. 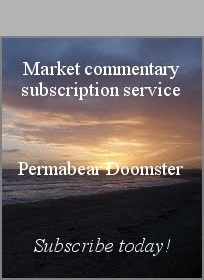 The market opened in minor chop mode, and whilst there weren't many sellers.. there were even fewer willing to buy. 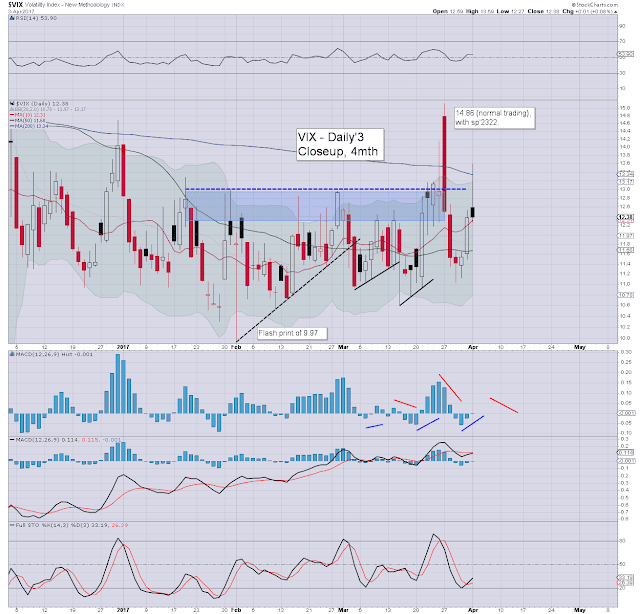 With the sp' at 2344, the VIX hit 13.59 in the morning, but then melted all the way into the close. Yes, we're now more regularly seeing the low teens, but are the 13/14s something for the volatility bulls to be excited about? The key 20 threshold still looks well out of range. 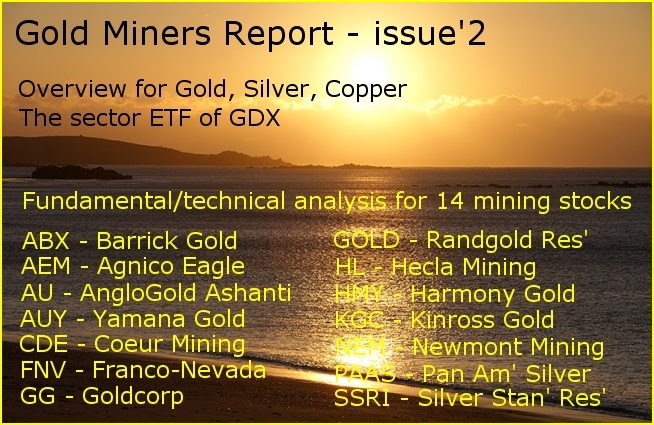 This past weekend was partly spent completing issue 2 of a report for the Gold Miners. If its a sector you have an interest in... then support my work and buy a copy!